What are interlocking rainscreen panels? Interlocking wall planks consist of an interlocking metal cladding panel, accompanied with an appropriate secondary support system that may be used as part of an interlocking rainscreen system to protect a façade. The way in which these interlocking planks are connected is a simple interlocking male/female joint, which offers a ‘hairline’ appearance. Our Unity rainscreen panels with associated carriers, bracketry and support systems are designed to allow the correct flow of ventilation and drainage run off in line with current building regulations. 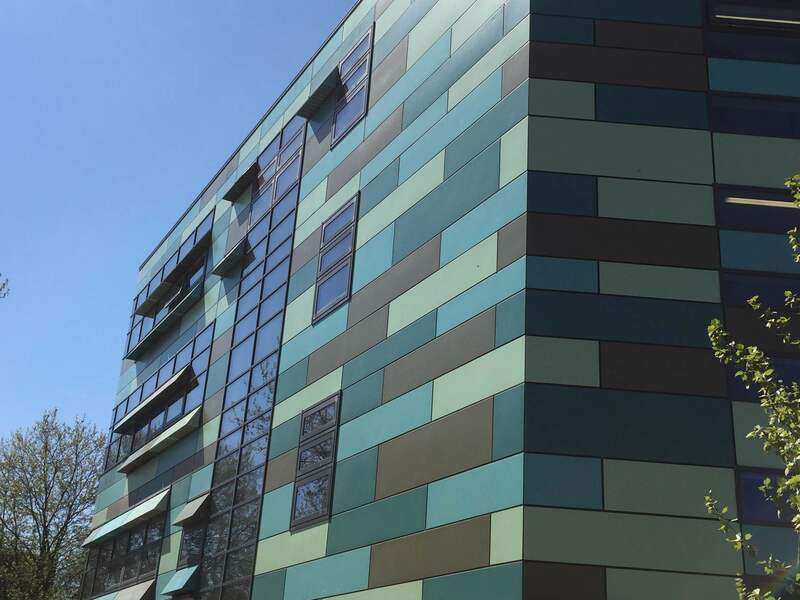 This Unity rainscreen panels can be supplied in panel lengths up to 6000mm and are finished in anodised or polyester powder coated finishes in an extensive range of colours. Here at Metalline we are proud to provide Unity rainscreen panels that offer outstanding functionality and that are built to the highest quality yet give a gorgeous appearance to the façade of a project. Our FX Rainscreen and Insulated panels can also provide a 3D element to your design. For more information on the interlocking rainscreen panels that we provide, click on the below link to download the brochure. If you have any queries about interlocking rainscreen or would like to get in contact with us, you can get in touch by emailing sales@metalline.co.uk or call us on 01543 456 930.